The process of finding the right name for your child is very important. Because the name you choose will define the child’s personality and character. 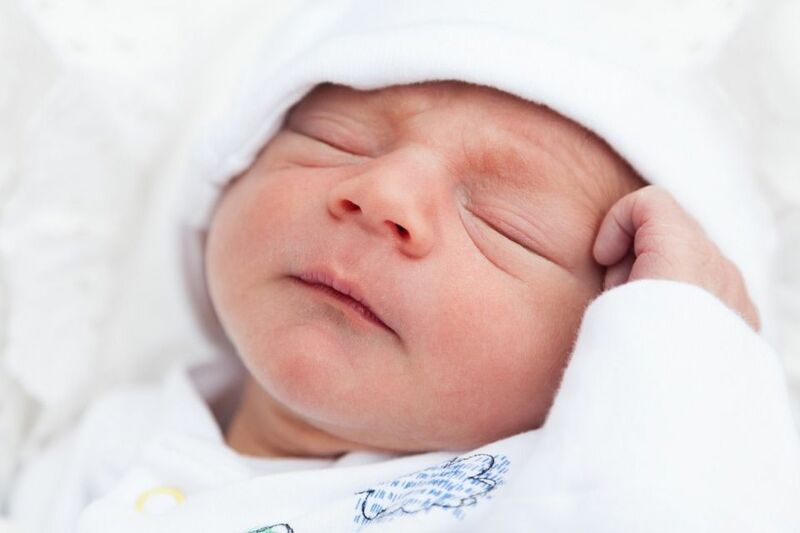 I always recommend parents to listen to their intuition or gut feeling while choosing a baby name. Because the guardian angels of your child will lead you to the right name. In this list I will present you 10 of the most powerful Celestial Names. These are the names of angels and archangels. If you choose to give your baby the name of a celestial being, that angel will guide and protect the child his/her whole life. So, choose carefully. Ambriel – also known as the angel of intellectual capacity. He is the bringer of mental clarity and mental harmony. Angel Ambriel is the angel of study, learning and understanding. Aniel – his name means “The God Of All Virtues”. He is the angel of breaking old habits or patterns. Also, Angel Aniel helps you to eliminate negative memories and emotions. Ariel – most people think of the little mermaid. But there is an archangel with this name. She is the angel of revelations and perception. Caliel – this name means “The Invokable God”. And he is the angel of truth and justice. Therefore, he fights for justice and he reveals the truth. He also inspires people to respect God’s Will and Laws. Daniel – this name means “God The Merciful Judge”. And he is the angel of eloquence. Daniel also brings inspiration and motivation. He helps you to make the right decisions in your life. Gabriel – this name means “God Is My Strength”. He is one of the four archangels. Gabriel is The Messenger of God. He is important not only in Christianity, but also in Judaism and Islam (Jibril). Hanael – the meaning of this name is “The Joy Of God”. He is the angel of the air. Hanael is the angel which breaths air into the human body. He is also the angel of encouragement and action. Michael – the meaning of his name is “He Who Is Like God”. He is the chief angel. He is also a warrior. And he leads the Heavenly Army. Archangel Michael is the ultimate protector against the evil forces. Ophaniel – his name means “The Ruling Light Of The Whole Of Existence”. He is the angel of the moon and the stars. Ophaniel is also the angel of light. He spreads the light of God into our hearts. Raphael – the meaning of his name is “The Healing God”. He is the archangel of healing. Raphael is the divine physician. He appears multiple times in the Bible as a healer. And as the protector of travelers. Sabrael – he is an archangel and the leader of the Virtues. He is the angel of miracles and impossible healing. Sabrael brings miracles, wonders and supernatural revelations into this world. He also brings small and pleasant surprises. So, what name have you chosen for your baby? Is your loved one in Heaven trying to send you a message? 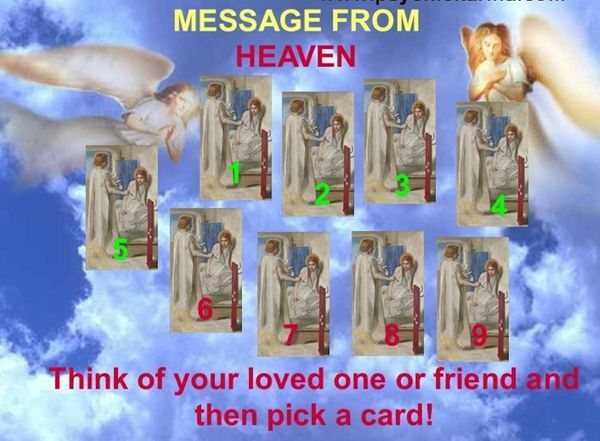 Think of a loved one or friend in Heaven and then pick a card! 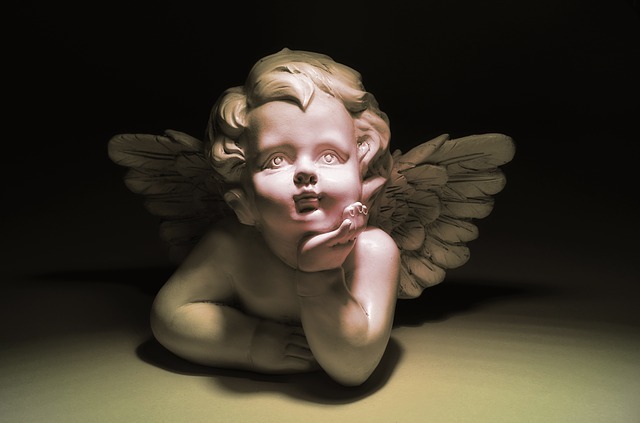 May the Angels help you manifest money easily, abundantly and effortlessly.